The closest I ever came to meeting Charles Mingus was when I followed him up the stairs of the Jazz Workshop in Boston on a wintry Sunday afternoon. He’d just finished his matinee set, and as he headed out to Boylston Street in a belted, butterscotch-brown leather coat, he slipped on the icy sidewalk. My friend Nic and I made a quick grab for his arms to keep him from going down, and once the startled Mingus righted himself, he offered us a nervous thank you. The ensuing moment did not seem right for an adoring line of introduction from either of us, so we moved on. I would see Mingus several times more in concert, but that was the closest I got to the great musician in person. There was something unforgettable about all of the performances I saw by Mingus right from the start, and that took place at the Workshop in 1972. On that occasion, the pianist was apparently late, so the show began with Mingus at the keyboard. Dannie Richmond was on drums, Lonnie Hillyer on trumpet, Charles McPherson on alto, and Bobby Jones played tenor and clarinet. Once the pianist arrived looking harried in a jacket that resembled a Boston bus driver’s, Mingus played bass from a stool at the front of the bandstand, though he stopped the music and returned to the keyboard a couple of times to illustrate something he wanted the pianist to play. I was underage at the time, and my sole cover was a 6’2″ frame and a pair of sunglasses that I’d wear after dark. Whether or not that fooled anyone into thinking I was over 21 I’ll never know, but I got in the door, I got served, and I gloried in the experience of seeing this musical giant only an arm’s length away. Notwithstanding this and other memorable concert-going experiences with Mingus, had I never seen him, but only knew him, like I know Lester Young and Charlie Parker and John Coltrane through recordings, I’ve little doubt that he would have been an important figure in my life. Mingus arrived at that moment when my adolescent instincts toward rebellion and individuation needed a galvanizing figure, and he was it. 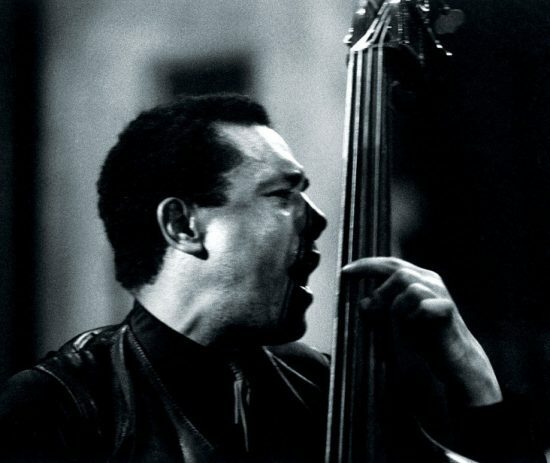 In the interview with Harold Bloom that I’ve been excerpting lately, the literary critic said of his friend Mingus, “He doesn’t break with the tradition, but he’s really trying to turn the whole tradition into Mingus.” At some point, aren’t we all? 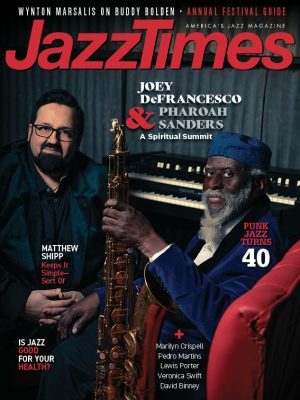 Jackie McLean, who began working with Mingus when he was a 24-year-old, said “Mingus gave me my exploration papers,” and he fostered the same in his listeners. I reveled in the challenge presented by Mingus’s music, at once deeply rooted in the blues and jazz tradition, but utilizing dissonance, atonality and other modern techniques; shifting time-signatures and sudden changes in tempo; experiments with form; and a wide array of moods and emotions, the lyrical juxtaposed with the cacophonic, not to mention the sardonic (“Fables of Faubus”) and just plain funny (“Eat That Chicken”). I identified with the intense personal cry at the heart of his music; his outspoken opposition to racism and the war in Vietnam; and his efforts to address the inequities of the world, which in his case revolved mostly around the music business. As if his music weren’t enough, Mingus was also a psychological open book. Through his liner note essays and his autobiography, Beneath the Underdog, which I read at age 17, and the documentary, Mingus in Greenwich Village, which I’ve watched numerous times, I learned of his emotional volatility, and the archetypal way he tended to frame his vulnerability. For instance, Underdog begins with Mingus likening himself to the Trinity. Yesterday was Charles Mingus’ 90th birthday anniversary. I’ve been heartened by how prominent his music has remained since his death in 1979, largely through the work his widow Sue Graham Mingus has undertaken to perpetuate his legacy. Graham established Mingus Dynasty around 30 years ago, and subsequently formed the Mingus Big Band and Mingus Orchestra. These ensembles have kept Mingus’s music alive on record and bandstands, and the Big Band appeared weekly for over a decade at the Fez Café in New York. Graham has seen to the release of numerous concert recordings by Mingus as well. Every artist should have such a guardian. But the paucity of fanfare his 90th has garnered reminds me of a 2005 interview with Gunther Schuller in which he said, “Far too many people do not know that [Mingus] is one of the greatest jazz composers.” In other words, beyond the bands dedicated to his legacy, too little of Mingus’s music is played by other jazz artists, and it’s completely absent from the repertoire of symphony orchestras, notwithstanding such accomplished through-composed works as “The Chill of Death,” “Revelations,” and “Half-Mast Inhibition.” Ellington’s “Harlem” and “Black Brown and Beige” may be little played, but they’re in the symphonic canon, even if only for Black History Month; not so with Mingus. Mingus touched on death and the weighty matters of the human condition in works such as “Epitaph,” “Passions of a Man,” “Weird Nightmare,” and “Don’t Be Afraid, The Clown’s Afraid Too.” But no matter how complex and ambitious his music got, he didn’t stray too far or too long from the vernacular of the blues, the music of the Pentecostal churches of his youth, and the swing that fueled his passion to play music in the first place. This is not apparent in everything he composed, but sooner or later he returns to these first principles, and it gives his subjective vision its universal resonance. Would that today’s conservatory-trained jazz players and composers, too often steeped in the esoteric and rarefied, learned this lesson from Mingus.